The 3WCH5 & 3WCH6 3 way chain harrow, by design, are easier to pull than conventional chain harrows. The major feature of these chain harrows is that they can be pulled in three different directions to suit the desired effect. The tines of the harrow protrude more if pulled in one direction creating an aggressive application. If the tow bar is changed to the other end of the chain harrow, the tine protrude less, creating a passive application. 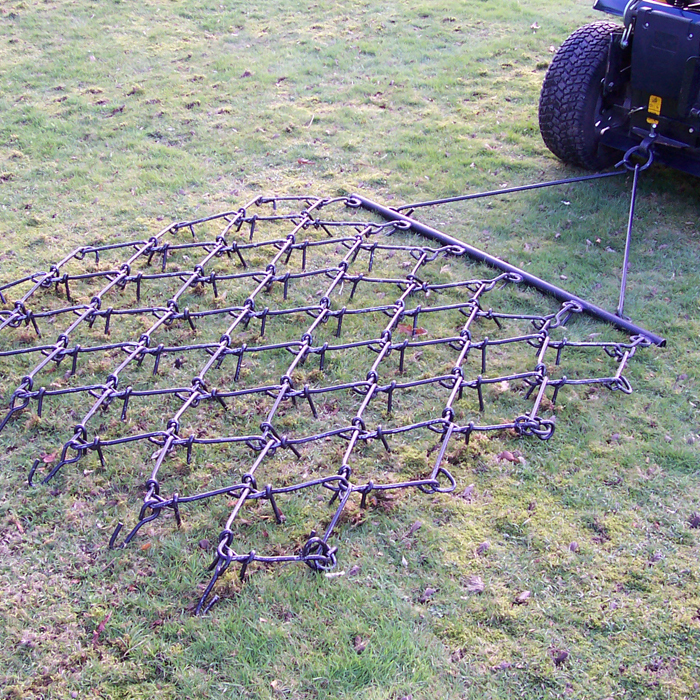 The harrow can be turned upside down for levelling grassed areas.